Wow! A most triumphant week! Big thank you to everyone concerned. Most enjoyable. Great addiitional pictures, videos and commentary from and on Miki. I saw Ian Astbury and The Cult during the mid 1990’s as well. Any word if Miki & Ian may have taken a crack at a rendition of “Love Removal Machine”? WOW What can I say! this is HUGE ! Thank you Miki! Thank you Andy!….and anyone else involved! This has indeed been the greatest moment of my 2008 thus far. Many, many thanks. Simply brilliant. Thank you for your tireless work to keep Lush alive in our hearts and minds. Lush was one of the first bands I ever saw live back in ’96. Since then I’ve seen probably 100 more shows and nothing even comes close to the ethereal experience of being front row at a Lush show. I remember it like it was yesterday and I would give anything to relive that experience. Miki is a true talent like no other. Thanks for the memories Miki, Emma, Phil and Chris. The memories are priceless and Lush is the most underrated band in history. I am sooooooooo glad I came across this site. I’ve been wondering for ages what Miki was up to. I have been a self confessed Lush addict ever since I got Scar from my local library (on sweet sweet vinyl). Bought that and everything else they did from then on. It would be nice to see her release some more music, but hey, she’s obviously happy and contented. And isn’t that the main thing?? Thanks Andy! 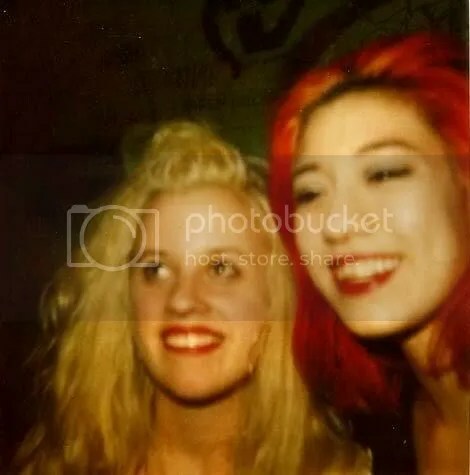 Been a fierce admirer of Lush’ music since early 90’s, was wondering what happened to Miki. Nice to see her cooperating on this, very cool. Cheers! Ohhhh Von Pip. You love Lush too. it’s just toooo perfect, were you sent from heaven? This is great I got into Lush and 4AD bands in general bout five yeas back.Love them to bits. 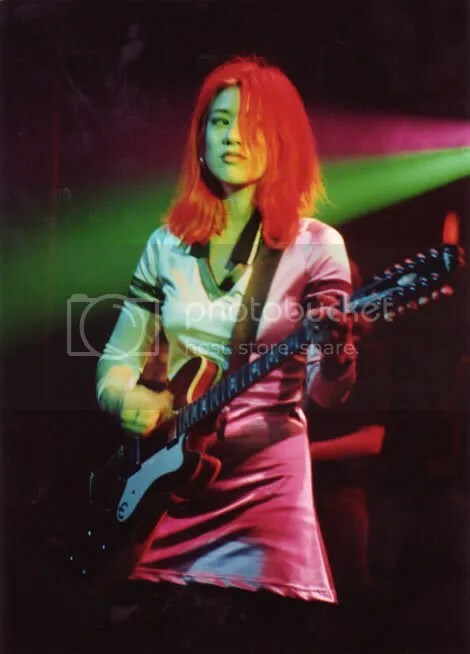 Recollecting a vague memory of seeing that amazing red hair on tv coupled with the stunning tunes Ladykillers and 500 when I was 13 in 1996 led me to buy some Lush records online last year. Always knew you were the coolest band on the planet but due to my shyness back then I never really went out to shops and bought records. Lush is probably my favourite band right now so I’m elated that Miki has decided to come back and give interviews at around the same time!!! These artcles / interviews are fantastic – well done. It’s been so long since I’ve listened to Sweetness & Light! I remember meeting Chris on the tube once and within 5 seconds he was sharing chips and within 10 seconds we we organising getting beer in the following weekend. 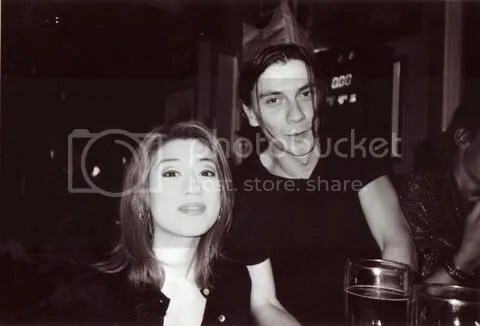 That was it – he would always get me in to see Lush on the various UK tours and was such a friendly chap. I’ll always miss him – just a decent funny guy. 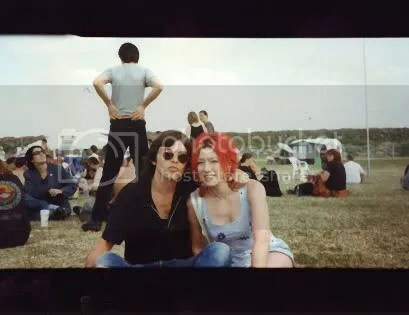 Good luck to Miki, Emma & Phil – about time that DVD came out, mmm? Awesome collection of pics, it’s great that Miki is willing to relive and share some of her memories. Not to nitpick but the “Weenie Roast” was (and still is) a KROQ (LA radio alt. rock trailblazer) event. Kennedy used to work at KROQ, pre-MTV, so she probably went back to do some interviews and stuff for MTV News. Miki come back! Your voice really is from outer space, or-from deep inside…What´s the trouble about being 40? I am 43 and still able to hold an electric guitar, let´s form a band…äh, nice joke, you say? But at least I hope you´re well…. Great Interview and photo walk-through. Glad to hear Miki is well, but sad she doesn’t have the time to create. I can understand, I haven’t played out or recorded since the birth of my son 19 months ago. I have one question though. Does she still have the trademark red hair? 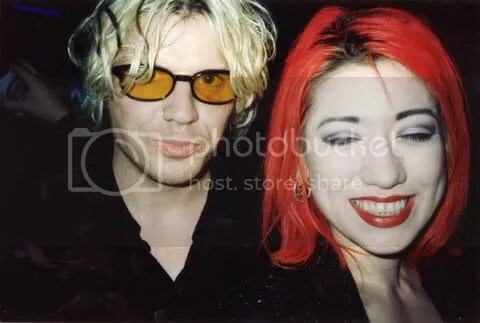 I live in LA and I was actually there at that ’96 show when Miki sang “Ciao!” with Ian Astbury at the El Rey. That was a great show, I was right up front and I remember Miki just smiling, enthralled, during the instrumental part of “Desire Lines”. Chris would be dead just 6 weeks later, and it was such a sad, sad thing. I also saw them in LA in summer ’94 at this place called Luna Park (since changed names) and it was the hottest – physically – show I’d ever been to. The A/C was out and everybody was sweating and miserable, but the band was great, and I recall the stage being so low that I quite literally could have reached out my hand and plucked Phil’s bass strings. Woops, just read above that the red hair’s gone. Oh well. BTW, no, she didn’t duet with Ian on “Love Removal Machine” in LA!